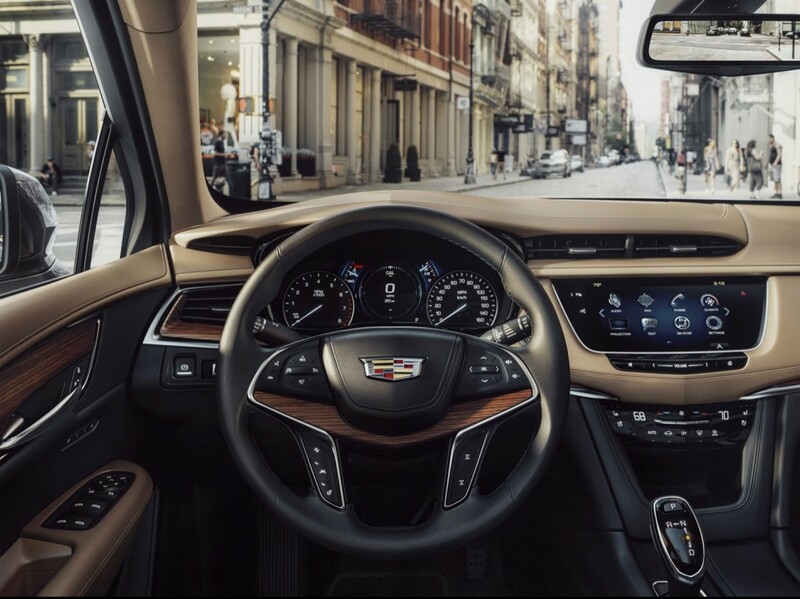 Community Question: Is The 2017 Cadillac XT5 What You Expected? Cadillac had a major debut at the 2015 Dubai International Motor Show in the 2017 XT5 crossover, the first of an all-new range of crossover vehicles from the brand. Foremost, we’re glad it looks much better than the initial photo snapped of the crossover completely uncovered in New York City, but we’ll reserve final judgement on styling and design when we get our first look at the 2017 XT5 at the 2015 Los Angeles Auto Show next week. But, we’re here to ask you today: is the 2017 Cadillac XT5 what you were expecting? The XT5 is an incredibly important vehicle for Cadillac. 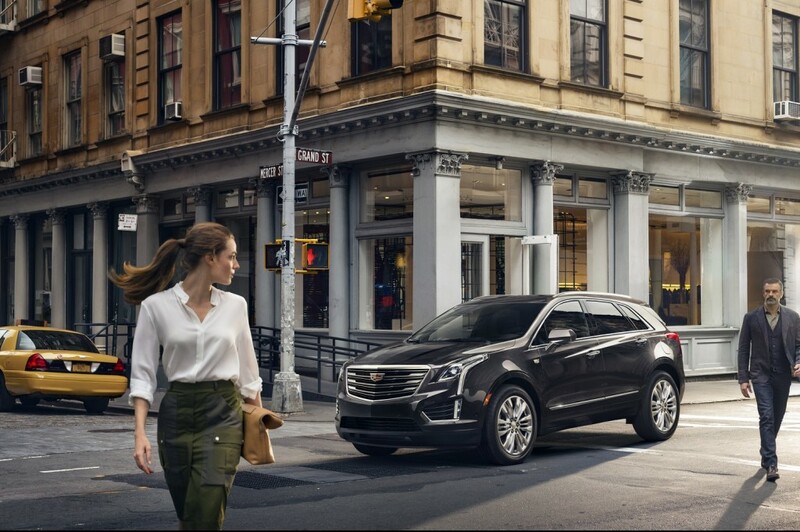 The crossover market is absolutely booming, and the outgoing SRX was Cadillac’s second best selling vehicle behind the Escalade. That makes the XT5 an essential followup. Upon first impression, the styling certainly falls in line with what to expect from Cadillac as of recent: familiar, yet handsome. Inside, things look to be much higher quality than the SRX is replaces. Cut and sewn panels are awash and the new gear selector certainly makes things look more premium. Initially, the 3.6-liter LGX V6 will be the only engine offering at launch, but odds are good we’ll see a hybrid and even a V-Sport variant come to market down the road. So, with that overview as your refresher, it’s time to vote in our poll and talk to us down below. Has the 2017 XT5 exceeded your expectations? Has it met them? Or has it simply fallen short? As an Spanish amateur I am of the American car, I like to see that GM car can do so well that the Germans, or better also. This XT-5 is really elegant; breathe luxury essence, sporty looks……..but where are the SuperCruise feature? I think the new XT5 is a GREAT looking car. I particularly like the interior. It is a big improvement on the current SRX, which I’ll be trading in when the XT5 becomes available. I’ll take a Performance Edition in White Diamond with a beige interior. Even though I love my SRX , it rides nice and looks sharp . And the Crystal Red Tintcoat is a color that I get more compliments on , this XT5 makes my Suv look old . The interior looks like a place you want to spend some serious road trip time in . Will we hear the prices at the L.A.Show ? I would guess $50g’s Base to $70g’s for the top of the line . One thing I’m glad didn’t carry-over was that chrome piece on the fender , looks ok on the SRX but would have looked out of place on the new one . It’s unlikely we’ll hear about pricing at the 2015 LA Auto Show but, if we do, you’ll hear it here first. When will exterior and interior colors be shown??? When can dealer order me one??? While I like the exterior and the interior looks PHENOMINAL, I feel like the exterior is just shy of being great. Not saying they had to go all crazy cartoonish like Lexus did, but Cadillac isn’t dropping my jaw like the Elmriage and Ciel did which drew me to take a closer look at the brand to begin with. I think it well sell great because SUVs are outperforming the market as a whole. But to be fair, I think they could’ve gone a little further to make it stand out more, especially on its side panels. maybe the v or vsport trim will look more stunning, we’ll see. I think the XT5 looks great. Have you seen the videos of the XT5 already in Dubai? IMO, I think the bigger cars and SUVs have the most advantage of unique styling compared to the models step below them. The XT5 should be great on its own design-wise. The Elmirage and Ciel were concepts showcasing the design direction for the current and future Cadillacs. We’re looking at a Mercedes ML or GLC, and I have since added this to the mix. Definitely the intangibles will play a huge part. The old SRX 6-speed didn’t like downshifting, and when it did, liked to go two gears down — so even though spec-wise the engine looked good, it didn’t feel that way. Our Benz GLK has an amazing 7-speed automatic. I’m hoping that Caddy’s beancounters didn’t compromise the 8-speed (i.e., to optimizing fuel economy Above All Costs), so it can really shine and mesh with the engine. I’m a Detroit boy by birth. Have owned five Caddy’s, and a Lexus, three BMW’s, three Saabs, and a Benz. Would like to go back to the home team. Thus far I like what I see, but there are still a lot of unknowns. Sean Szymkowski mistakenly writes “.. the outgoing SRX was Cadillac’s second best selling vehicle behind the Escalade.” The SRX is Cadillac’s best selling vehicle. Nearly half of the Cadillac sold are SRX! I believe this partly due to American preference for crossovers and most importantly due to American’s thirst for traditional Cadillac luxury. The SRX, Escalade, and new XT5 represents what Cadillac does best by using GM architecture and upgrading that architecture to create super beautiful, fast, luxurious, and spacious vehicles which would cost ten thousands more if BMW or Mercedes attempted to build a similar vehicle with the same amenities, engine, and size. Cadillac is the luxury standard of the world when it embraces it heritage and wisely uses it’s unique resources. Also for pennies GM can go in its parts bin and build v sport XT5 to put Porsche to shame!